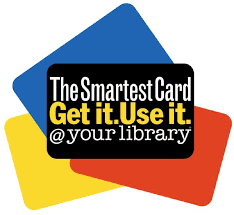 Stop in at the library, fill out an application to immediately get a card and newcomer’s bag! You will be able to check out items as soon as you get your card. Nonresident cards are available at $10 for a three-month card (great for summer residents) or $20 for a year. Click on ‘My Account’ to enter your account. You will be able to update contact info, view notifications, see what you have checked out, renew, reserve, request an ILL (book from another library if you don't see it in our catalog), suggest a purchase, bookmark items for future checkout (kind of a "wish list") and see what you've read over the past year.